The concert everyone has been waiting for! Gourmet Glatt and the Village of Cedarhurst presents Jewish Night with two fun filled shows you won’t forget. Starting at 7:00 PM, you have seen them on Americas Got Talent now see them in Cedarhurst, the very talented Beatboxing Duo known as Ilan and Josh. 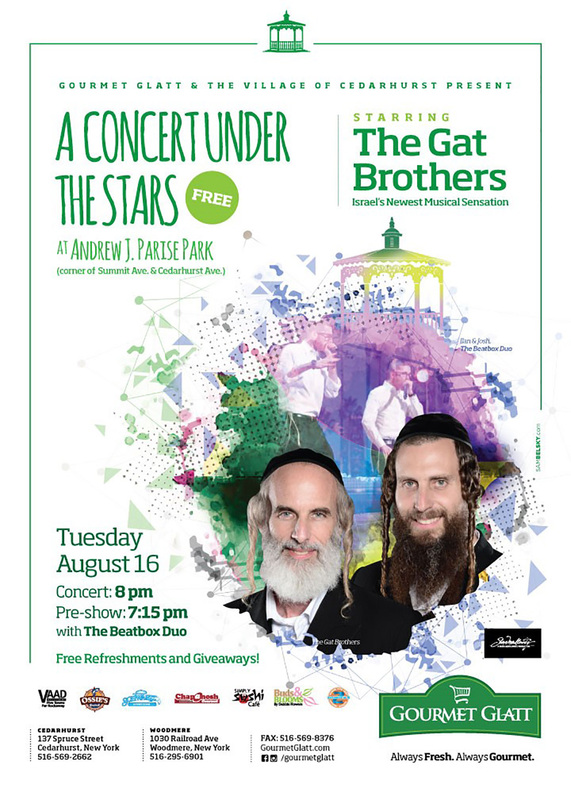 At 8:00 PM a performance by Israel’s, and now Cedarhurst’s, newest musical sensations – The Gat Brothers. In case of rain, we will re-schedule to Thursday, August 16th. Watch the Village’s website or your email for more information.